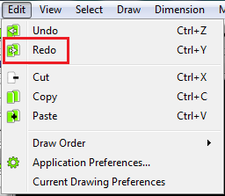 New - will start a new LibreCAD file document/drawing. Open - will open a saved drawing. 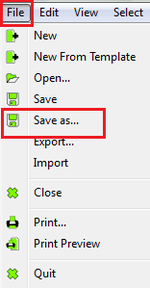 Save - will open ' Save Drawing As ' dialog and give you file formats to save to. 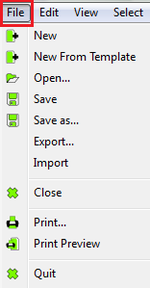 Print - will open up the print dialog window. 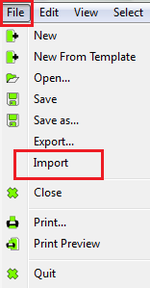 Print Preview - will open up the print preview , re-selecting this button will return you to Model space (drawing area). 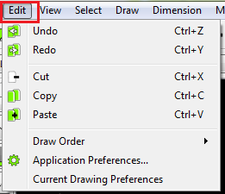 Save As - will give you the option to save the current/existing drawing to a new file name and format. 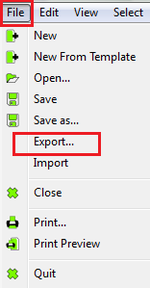 Import - options to import, Insert Image, Block, read ascii points, shape file. 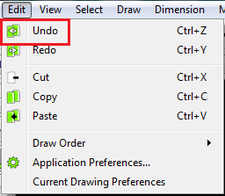 Undo - undo the last command, one step back. Redo -redo the last command, step forward. This page was last modified on 8 May 2015, at 17:57. This page has been accessed 59,468 times.